100% cotton tapestry/bedspread 72" x 108". 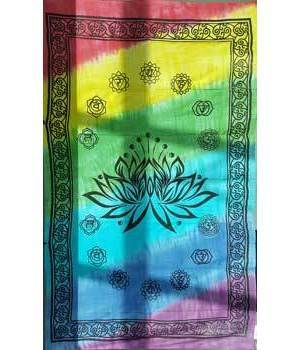 Lotus Chakra tie dye design. Made in India.